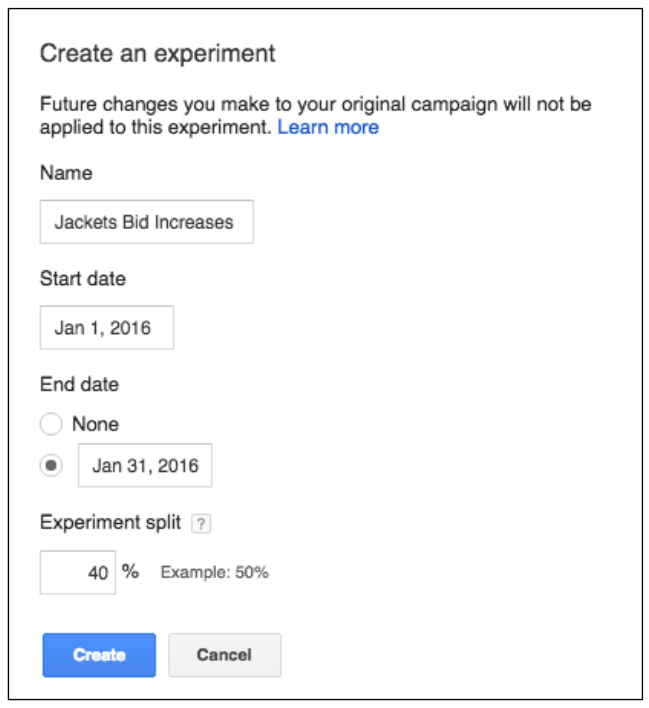 In November, Google began beta testing a new AdWords feature for campaign drafts and experiments. Campaign drafts and experiments lets advertisers "propose and test changes to your Search Network and Search Network with Display Select campaigns." You can use drafts to prepare multiple changes to a campaign. From there, you can either apply your draft’s changes back to the original campaign or use your draft to create an experiment. Experiments help you measure your results to understand the impact of your changes before you apply them to a campaign. There is a detailed help document on how to use this. It is now rolling out to AdWords advertisers after being in beta for the past few months. Previous story: Google Now Offering Google Certified Partners For SEO?